At a time when ever more information is available about the quality of health care, the challenge for policy makers is to better understand the policies and approaches that sit behind the numbers. 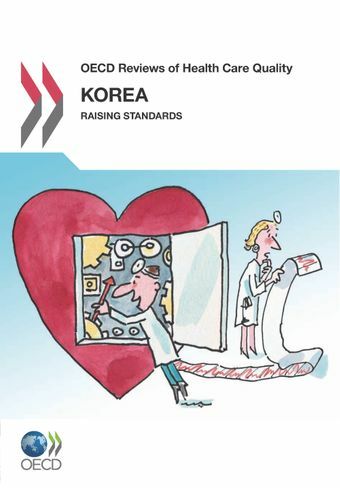 Korea is the first country report in a new OECD series evaluating the quality of health care across OECD countries – whether care is safe, effective and responsive to patients’ needs. OECD Reviews of Health Care Quality examine what works and what does not work, both to benchmark the efforts of countries and to provide advice on reforms to improve quality of health care. This series of individual country reviews will be followed by a final summary report on the lessons learnt for good policy practices. Korea’s substantial policy reforms over the past decades have equipped it with an ideal institutional architecture from which to pursue further reforms. Governments ought to take early action to develop primary care infrastructure and establish gate-keeping by primary care professionals. There are risks of oversupply of hospital services at the expense of quality. Strong budgetary or regulation on supply, and payments that reward providers for doing better rather than doing more are important to avoid this. Governments and purchasers should demand accountability for the quality of health care for the substantial payments they make to health care providers.